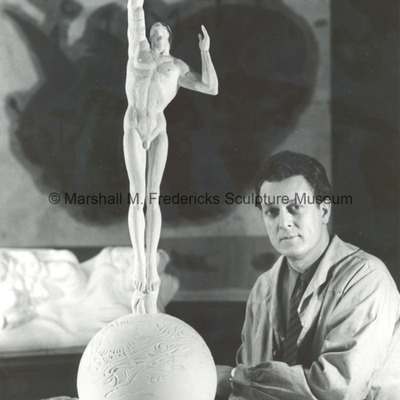 Marshall Fredericks with the scale model for the central figure of the "Cleveland War Memorial: Fountain of Eternal Life"
Scale model for the central figure of the "Cleveland War Memorial: Fountain of Eternal Life" in Fredericks' Royal Oak, Michigan studio. 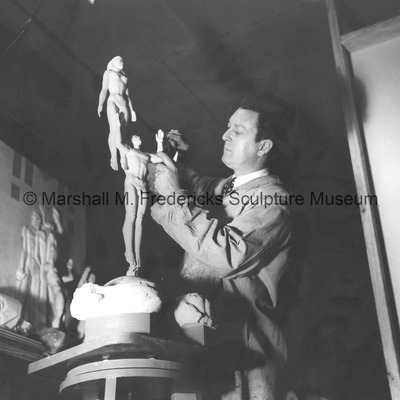 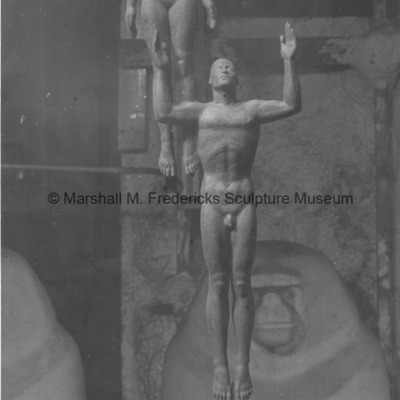 Marshall Fredericks working on the scale model for the "Cleveland War Memorial: Fountain of Eternal Life" in his studio. 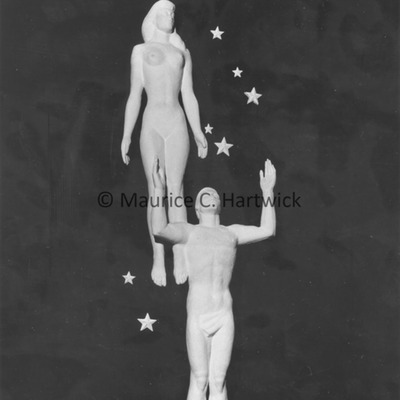 Scale model of the original "Star Dream” concept for the central figure of the "Cleveland War Memorial: Fountain of Eternal Life". 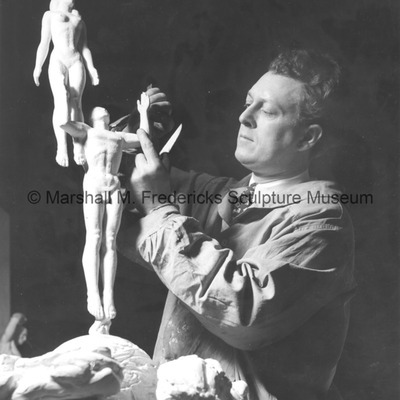 Marshall Fredericks working on the scale model for the central figure of the "Cleveland War Memorial: Fountain of Eternal Life"
Final version of the maquette for the central figure of the "Cleveland War Memorial: Fountain of Eternal Life"
Final version of the maquette for the central figure of the "Cleveland War Memorial: Fountain of Eternal Life". 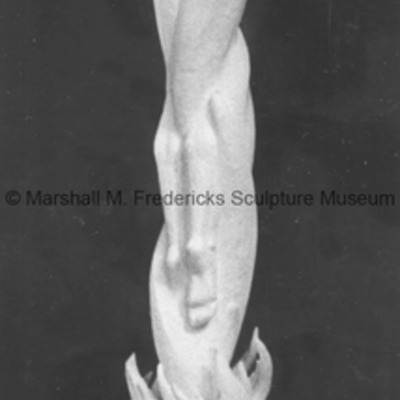 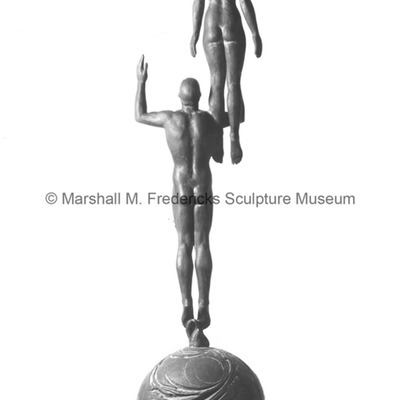 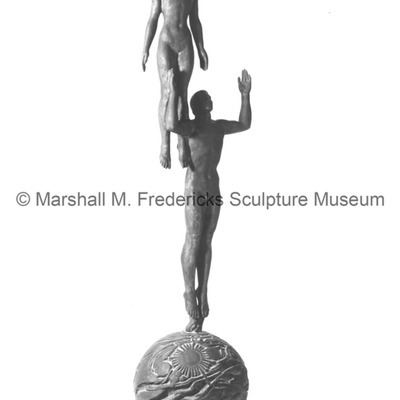 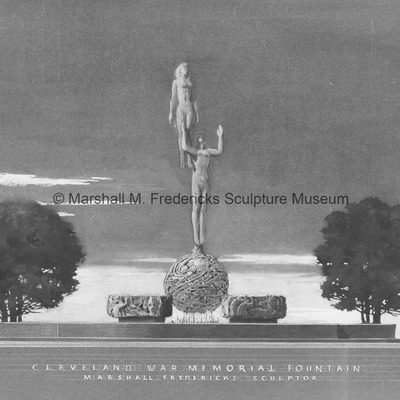 Maquette of the original "Star Dream" concept for the central figure of the "Cleveland War Memorial: Fountain of Eternal Life". 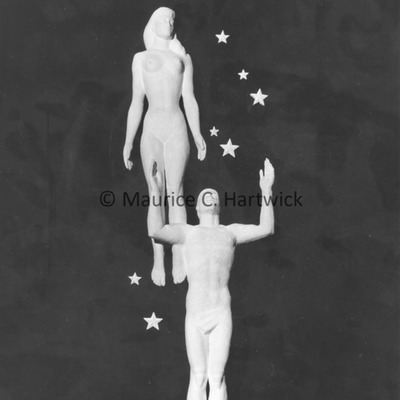 Plasteline maquette for the central figure of the "Cleveland War Memorial: Fountain of Eternal Life"
Plasteline model of the original "Star Dream" concept for the central figure of the "Cleveland War Memorial: Fountain of Eternal Life".